On June 5, 2002, Elizabeth Smart was kidnapped from her home in Salt Lake City, Utah. For nine months the abduction of the 14 year old lacked answers. Investigators, volunteers, and her family and friends searched for her and clues to her whereabouts, desperate to find her. For those nine months, Elizabeth Smart was being held hostage by Brian David Mitchell and his wife, Wanda Barzee. She was shackled to a tree with a metal cable to keep her from escaping the camp in the mountains that she was told she would now call home. Forced to put on a white robe, she could do nothing while her captor performed a wedding ceremony. Smart was to be the first of many virgin wives to the man who had taken her, who at the time she had heard the other woman, his wife, call ‘Emmanuel.’ He claimed to be an angel and that everything that was happening was part of a plan that ended in he and his virgin wives battling the Antichrist in seven years. Smart was forced to take on a new name; she chose Esther, taken after Esther in The Old Testament in the Bible. She was forced to consume alcohol and drugs to make her more compliant and repeatedly brutalized by the man who referred to himself as her husband. Smart was taken many times into public with the two, especially after they relocated to San Diego after three months in the mountains. During that time, Mitchell had been thrown in jail for breaking into a church, but was released mere days later and continued to keep Smart his captive. Threats to her and her families’ lives kept her compliant, and a headscarf or veil to conceal her face kept her identity hidden. On March 13, 2003, after nine months held captive, Smart was finally returned to her family. It took three years for Wanda Barzee to be sentenced to 15 years for the role she played in the kidnapping and it would be another year before Mitchell would be convicted in December of 2010. 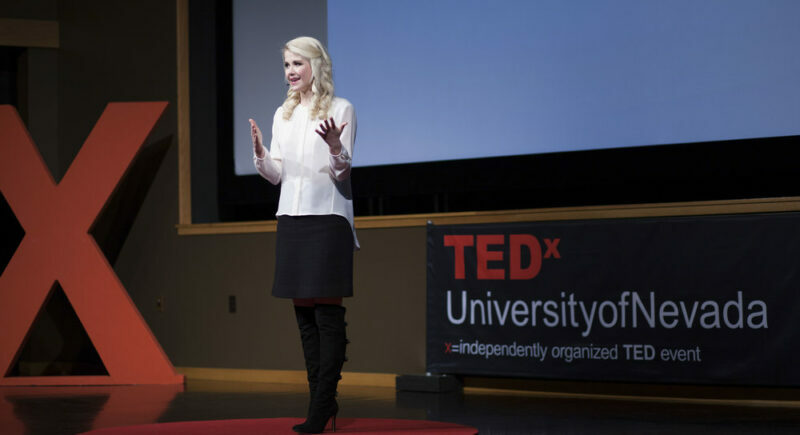 On May 25, 2012, nine years since Elizabeth had been rescued, Mitchell was convicted and sentenced to two life sentences in federal prison for the kidnapping of Elizabeth Smart. 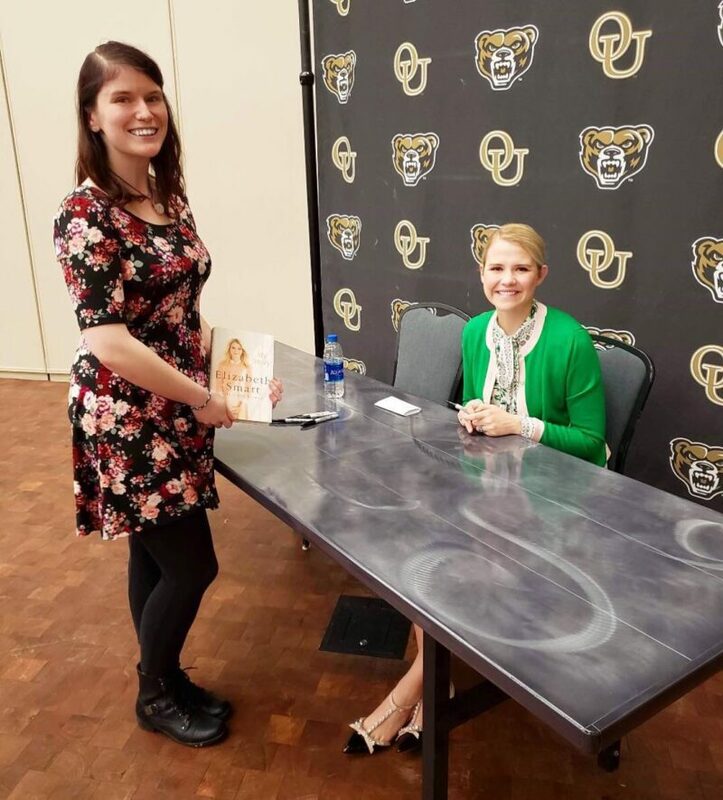 On Thursday, March 21, 2019, Elizabeth Smart was a guest speaker at Oakland University. Smart, now 31 and a mother of three, travels and speaks of survival and hope. Recounting her harrowing tale, Smart delves into how she felt as it was all happening, explaining how a child’s brain processed the horrific events. Since being rescued she has also founded The Elizabeth Smart Foundation which is dedicated to preventing crimes against children and promotes The National AMBER Alert and The Adam Walsh Child Protection & Safety Act. Smart concluded her appearance with a book signing. Those in attendance were able to speak briefly with her about her life and her inspirational story of survival. Smart continues to speak out as an advocate for children, and write about her experiences. 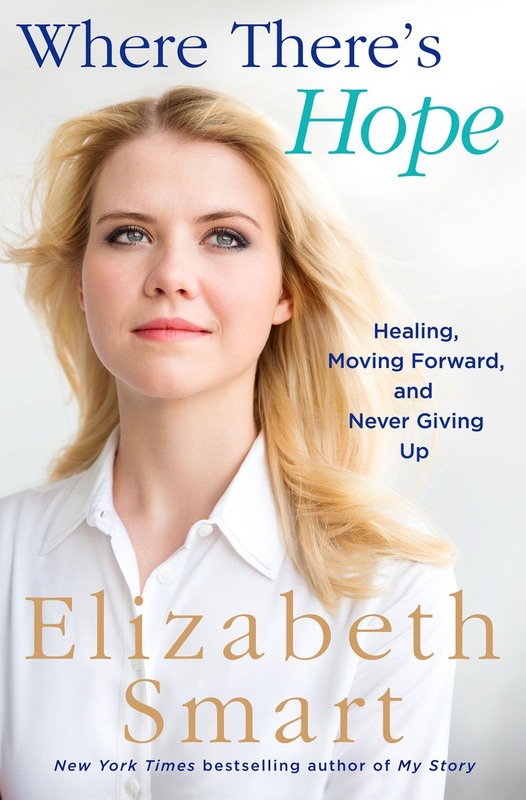 In 2018, the author released the follow up to her New York Times #1 bestseller My Story, titled Where There’s Hope, which can both be purchased on her website or you can donate to the Elizabeth Smart Foundation here. Erica is known by many of her friends as ‘DepecheMess’ and she is a lover of all things horror. When she isn’t trying to solve the JonBenet Ramsey case she can be found at a horror con, burlesque show, or a local indie wrestling event. She is new to N&B and can’t wait to fangirl with other likeminded people. Find her on Twitter/Insta @ericatrash Photo: Art Box Creations Inc. Updates From Richard Speight, Jr. in the Recording Studio!